Crazy Ex-Girlfriend just wrapped its third season, but what about a fourth? Recently, co-creator Aline Brosh McKenna spoke with IndieWire about the future of the CW TV show. The musical comedy stars Rachel Bloom as Rebecca Bunch, a trouble woman who leaves everything and moves to California to pursue her teenage crush. The cast also includes Vincent Rodriguez III, Donna Lynne Champlin, Pete Gardner, Vella Lovell, Gabrielle Ruiz, David Hull, and Scott Michael Foster. What do you think? Are you a fan of Crazy Ex-Girlfriend? Do you want a fourth season? More about: Crazy Ex-Girlfriend, Crazy Ex-Girlfriend: canceled or renewed?, The CW TV shows: canceled or renewed? Love love Love this show!!!! Its funny and also has some stuff that no other shows have touched up on like mental health. I hope they renew!!! PLEASE RENEW! CEG is so unique and honest AND entertaining! We’ve seen 75% of the story. Don’t quit before the miracle!!! Love this show!!! Sure help that it will be a season 4. The writers and song writers of crazy ex girlfriend are amazing!!! Please keep writing more shows like this, I love all elements of this show! The different styles of humor, the creativity with some writing, the characters!! My favorites and Rachel Bloom, Vella Lavell, and Gabrielle Ruiz! I love this show, I can re watch the episodes again and again and still be entertained!! Please continue more seasons or more shows! I love Rachel Bloom!! I absolutely love this show! The humor is intelligent, the songs are funny, and the cast is so talented. Disappointed to hear that season 4 will be the last. The CW’s recently-announced addition of Sundays to their schedule for next season will make any renewal of “Crazy Ex-Girlfriend” easier. If I had to choose between renewing “Dynasty” and “CEG” for 2018-19, I would choose “CEG”. Yes i love this show wanna see the ending!! The ratings actually went up a teeny tiny bit. Why cancel one of the WORST RATED SHOWS IN TELEVISION HISTORY to ever get 3 and possibly 4 seasons? The show will get renewed. If it was renewed with 0.20, how can they cancel with a 0.22? Yes. 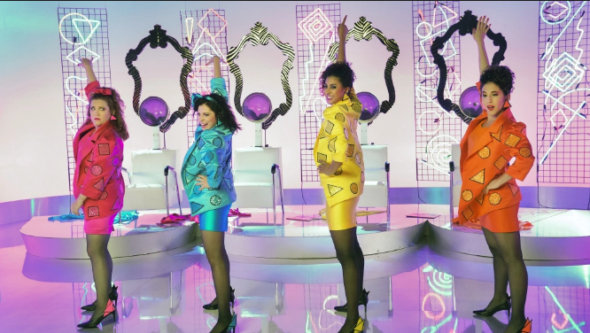 this is one of the best on tv and so funny, I wanna see more of it but ending it the right way better than the cancellation, I wish it gets its last season and I hope that we can see another great show from Rachel Bloom & Aline Brosh McKenna in the near future. HELL YES! One of the most original, creative, funny, poignant, amazing shows I’ve ever seen, I have enjoyed every second and can’t wait to see how this all wraps up! Kudos to Rachel Bloom, she is beautiful and fearless!